Wills, Powers of Attorney, and Estate Planning | Grudowski Law, P.C. Your will is too important to be left to standardized kits and computer software. A will that is not drafted to comply with Pennsylvania laws could result in your estate being distributed in a way you would not approve. Worse, your family may incur unnecessary legal costs if the Will is challenged. Dying without a Will could result in your minor children being placed in the care of a court-appointed guardian. Don’t let it happen to you. Your Last Will and Testament deserves the professional attention that only an estate attorney can provide. Contact Grudowski Law today for more information. Will vs Living Will: What’s the Difference? 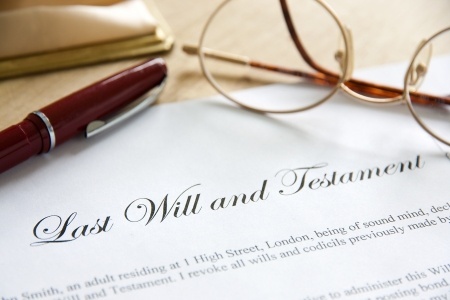 Will – A Last Will and Testament (commonly referred to as a will) determines the manner in which your possessions and monetary assets will be distributed upon your death. If you so choose, you may use a will to assign living trusts and guardians for your minor children should you pass before they reach legal adulthood. Living Will – A Living Will provides medical instructions should you become comatose or enter a persistent vegetative state and are unable to communicate your own healthcare wishes. A living will can grant instructions for cremation or burial, consent to an autopsy, and organ donation. Contact Grudowski Law online today, or complete our call us at 412-904-1940 for more information on Wills, Living Wills, and Powers of Attorney. There may come a time in your life where you become physically or mentally incapacitated and can no longer handle your legal and medical affairs for yourself. The best way to avoid this is by setting up a Power of Attorney before that day comes. General Power of Attorney – A general POA is typically used to grant legal power to a trusted friend or family member temporarily. General POAs are typically used when you will be gone for some length of time (like an extended vacation or business trip) and need someone else to continue handling your affairs for you. Special Power of Attorney – A special POA acts much like a general POA, but it is only enacted in certain situations which you choose. Health Care Power of Attorney – A healthcare Power of Attorney grants power to make medical decisions regarding you should you become incapacitated physically or mentally. Signing a healthcare POA does not forfeit your right to make medical decisions for yourself when you are lucid and capable. Ask us about making your Power of Attorney a Durable or Springing POA to best fit your needs. Contact Us today! No matter what your last wishes or medical requests are, you deserve to have them recorded and enacted by an experienced estate attorney. Contact Grudowski Law online today, or complete our call us at 412-904-1940 for more information.